The health board has said that the two babies who died had been "extremely poorly" due to their early births, with infection being "one of a number of contributing causes in both deaths". She added: "Previously these cases have only been identified in two other countries worldwide. "We have continued to screen babies in our three neonatal units and there have been no further cases of infection. "We have also put in place a number of further infection control measures including staff screening, the prescribing of different antibiotics and the introduction of a new skin cleaning agent". 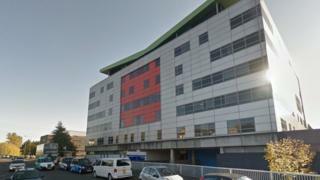 The two babies that died in the hospital's neonatal unit were said to have been born "extremely prematurely". A third premature baby in the unit was also infected, but was said at the time to be in a "stable" condition.